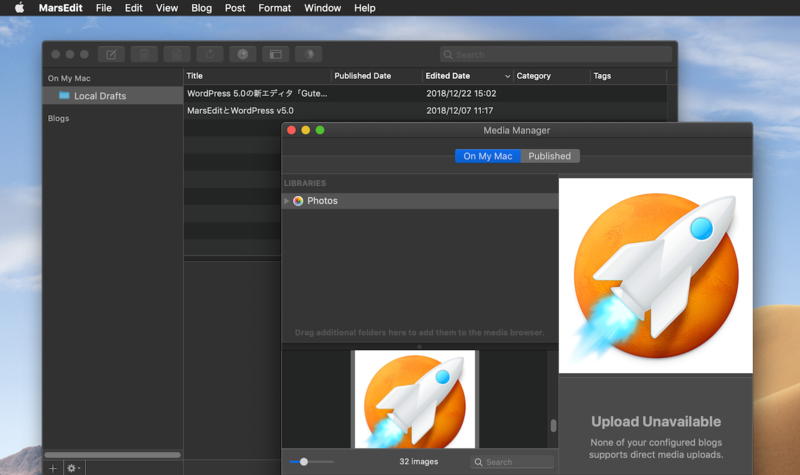 Picasa Web Albums APIの終了に伴いBloggerのサポートを終了するとしていたMac用ブログエディタ「MarsEdit」が画像アップロードなしで今後もBloggerをサポートすると発表。 | AAPL Ch. On the @Blogger front, unfortunately we can confirm that Google has shut down the API that allowed @MarsEdit to upload images. Many customers have indicated they want to keep using Blogger even with this limitation, so we will continue to support Blogger without image uploads.